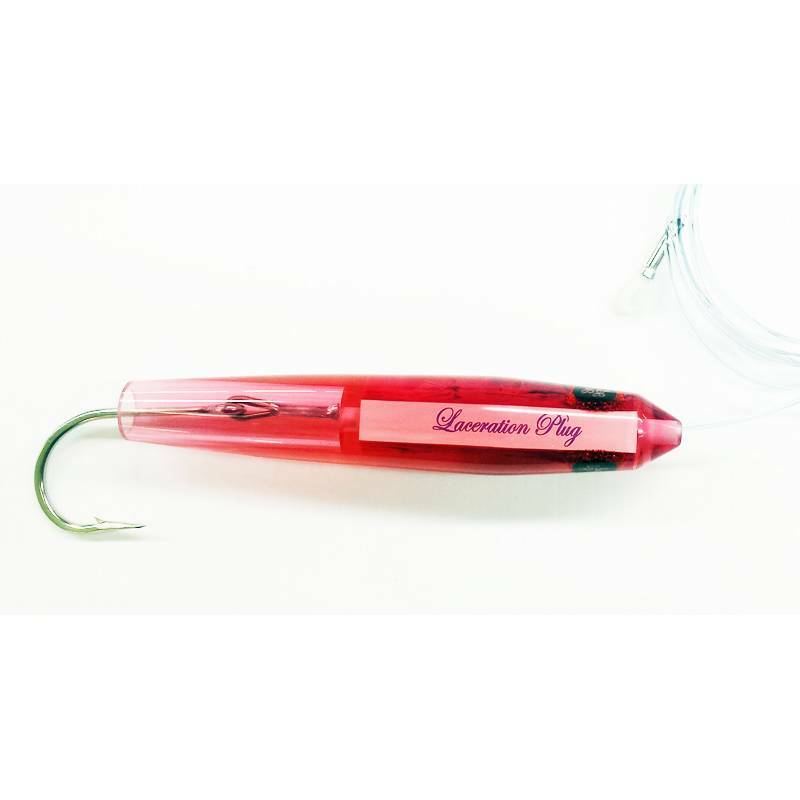 Three swimming lures and a Jet Head, any and all are perfect for pulling from a Flat-Line position. Positioned short from the transom and in sight these will produce time and again. The Gooney Plug, the Mate Saver SR. and the Laceration Plug all have great side to side erratic action, especially in the prop wash and the Jet Head leave a great bubble trail. Bluefin Tuna find anyone of these lures a great target. 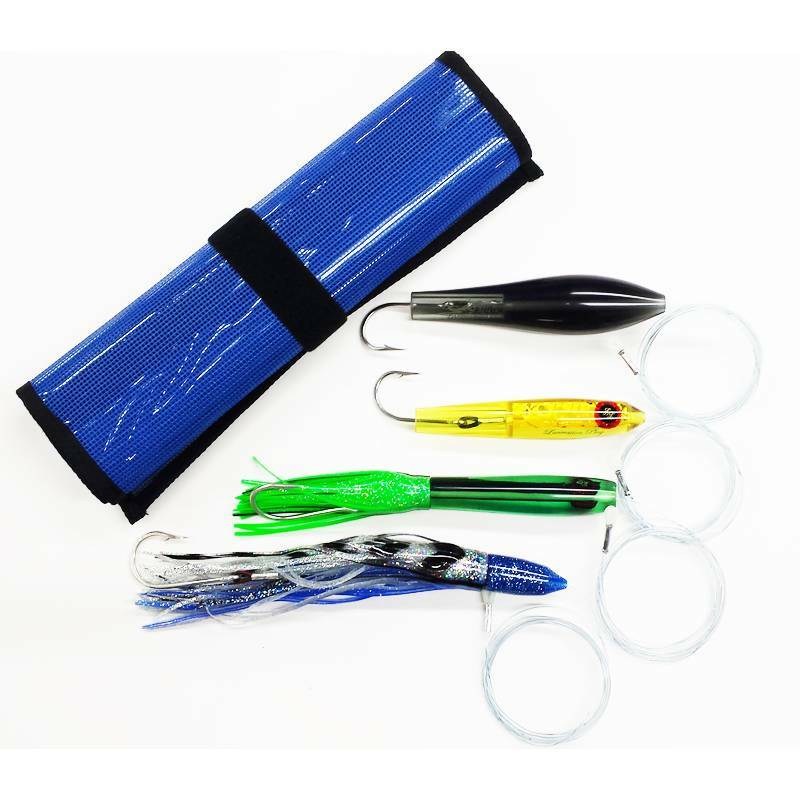 The Laceration Plug and the Gooney Plug are rigged with a Mustad 7732 hook and the Mate Saver and the Jet Head are rigged with a Mustad 7691 hook. All are rigged with 250lb Momoi with chafe gear. A 30lb or 50lb set-up would be the choice for any of these. Set comes in assorted color and a 4 pocket roll-up bag. Although these are ideal for a Flat Line position, a long rigger position will produce as well.